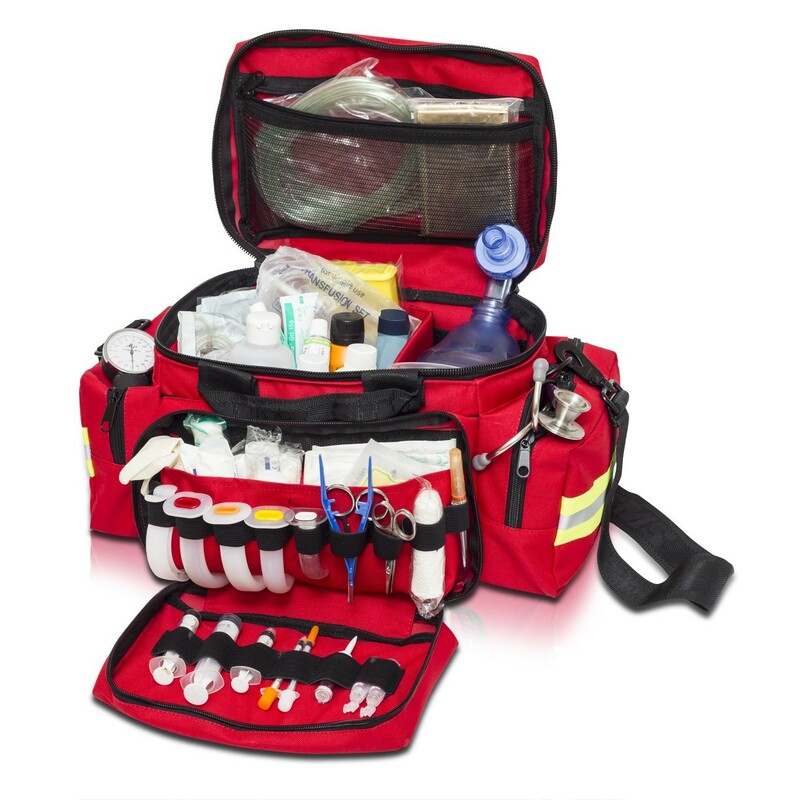 Practical and light emergency’s bag with two adjustable inner separators and a rack pocket in the flap to ease the organization of the sanitary material. 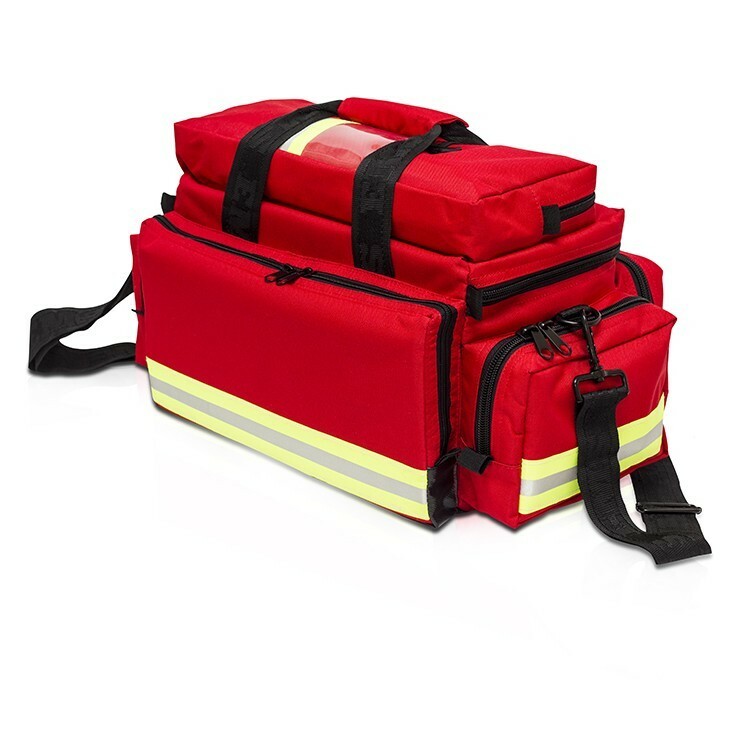 It also have three external pockets, two of them are diaphanous and one is in the front and is internally subdivided and with elastic rubber-bands. 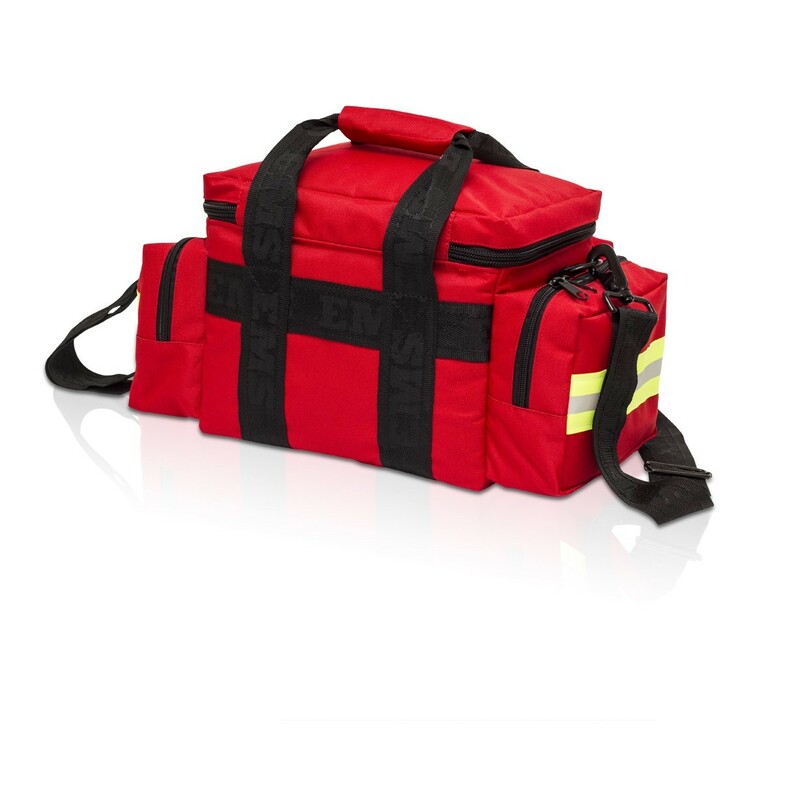 Measure Main Body: 44 x 25 x 27 cm. Material: Polyester 600D PVC coated.